Thailand beaches are one of the most beautiful beaches in the world. Tourists from all over the world come here to experience the magic of these white sands. The amazing scenery and scores of things to do make it the perfect getaway for anyone who wishes to holiday in a paradise. The stunningly beautiful beaches are for everyone, including romantic at heart, adventurous seeker or a lazy soul. Koh Lao Liang beach: It is situated offshore from the province of Trang. It is an enigmatic spot for tourists from all over the world. 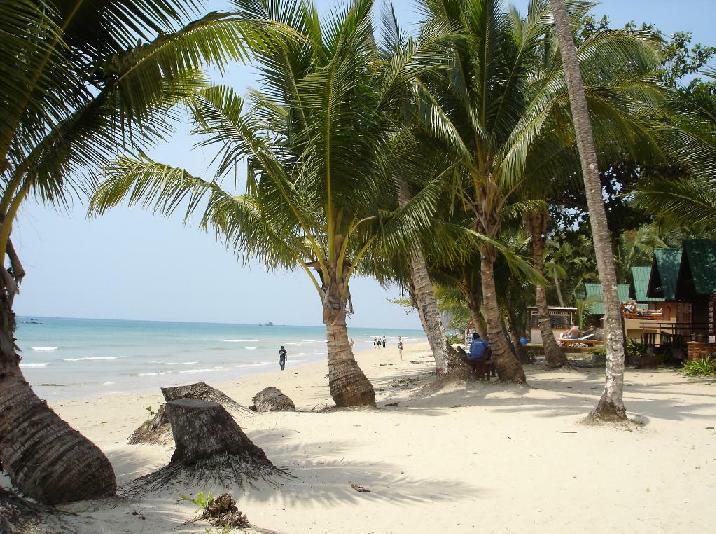 The locals consider it to be one of the best of all Thailand beaches and are happy to keep it as secret of the country. It has cliffs made of limestone towering over the spectacular white-sand beach. It also has an upscale accommodation in the form of tents situated in proximity of the gently tapping waves. There are reefs painted in the colors of the rainbow in the form of soft corals with the exotic clownish. Ko Chang beach: It is Thailand’s second-largest island and is situated in the Trat province in the eastern part of Thailand. It lies quiet near to the Cambodian border and the island is known for its national park, which is a protected area of rocky bays and thick forests. The white sandy beaches are found mostly on the west coast of the island. This beach has been developed over the years, but it still holds its old charm and is one of the most beautiful Thailand beaches. It has been given the name of the ‘Lonely Beach’ and is completely justified by the forgotten feel it has. You can just lay back and spend some quiet time or hire a longboat to the tiny islands for the region’s best diving and snorkeling. Ko Adang beach: This beach is a part of the Ko Tarutao National Park and is one of the larger islands in the region. It offers beautiful beaches, inland waterfalls which were once used by pirate ships passing through to refill their water supplies and hiking opportunities. Between the months of September and December, green sea turtles can be seen venturing ashore during the night hours for depositing their eggs in the sand. This beach is one of the less frequented Thailand beaches. Ko Kood beach: If you have the right kind of money to spare and are looking for a quiet place then this beach is highly recommended to you by Thailand Travel Guide. The island offers limited luxury accommodation at a hefty price tag. It is situated quite close to Cambodia on the east coast of Thailand. This beach offers you the best private beach experience unmatched by any of the other beaches. Due to the past issues with Cambodia this beach was not accessible to the tourists and is relatively uncrowded. These beaches are likened to those of the Maldives and offer you various opportunities like hiking and also a view of beautiful inland waterfalls. Author Bio: This post is submitted by Ashish Pratap Singh. Ashish Pratap Singh is a Travel enthusiast, currently working with ixigo.com, an online India Travel Guide helps you to plan your trip.